When the eldest child was in K2, he asked to participate in the Speech and Drama class which most of his classmates attended. I thought that it was a good way to help him overcome his shyness and aid in the intervention for his dyslexia since they also taught phonics. Thus, I signed him up for it. It was a great investment because he thoroughly enjoyed the sessions and they benefited him tremendously. Watching him perform so confidently on stage at his preschool graduation made me so proud! Jayna asked me back then if she could also join the class but to be fair to the brother, I told her she could only join any class of her choice when she reaches K2 too. 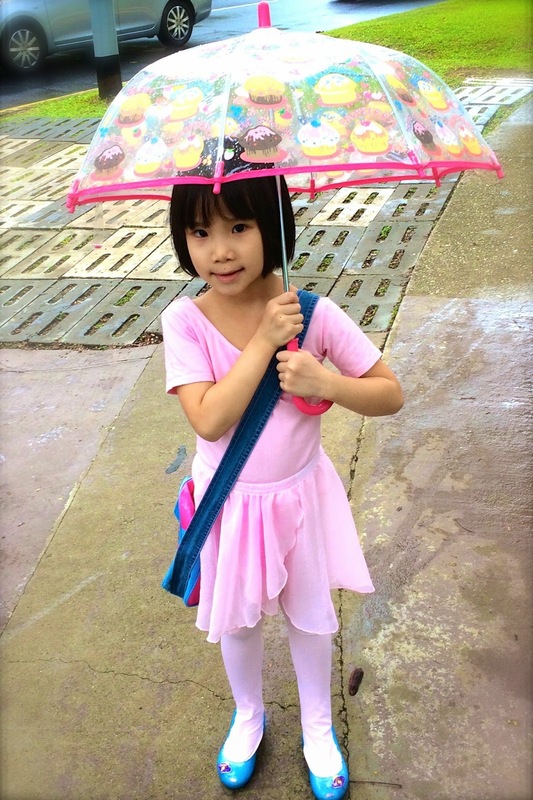 This year, she was delighted when the timing of the ballet class in our community center fits our schedule and she can attend it! 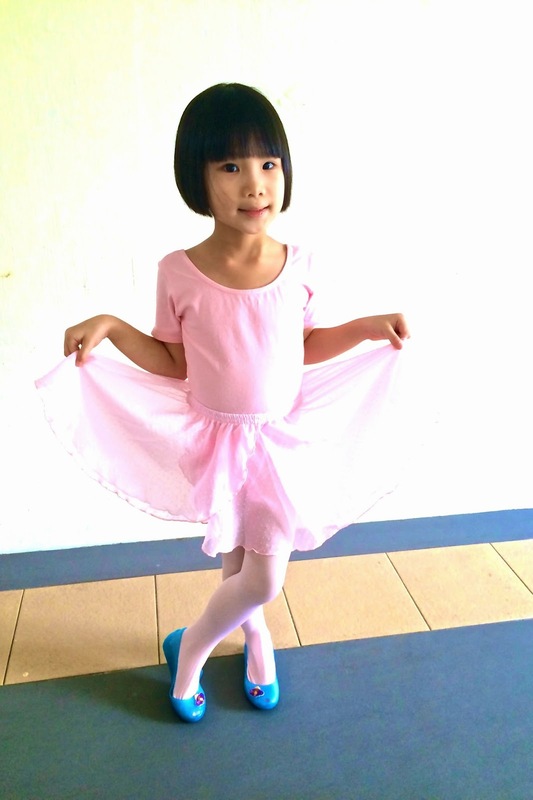 The teacher was very surprised that it was Jayna's first attempt learning ballet since she could follow very well the instructions and moved accordingly. You should have seen the glee on my sweet girl's face. When we got home, she was so eager to show off to the entire family the dance steps she practiced in class. I'm so glad she loves it so much. 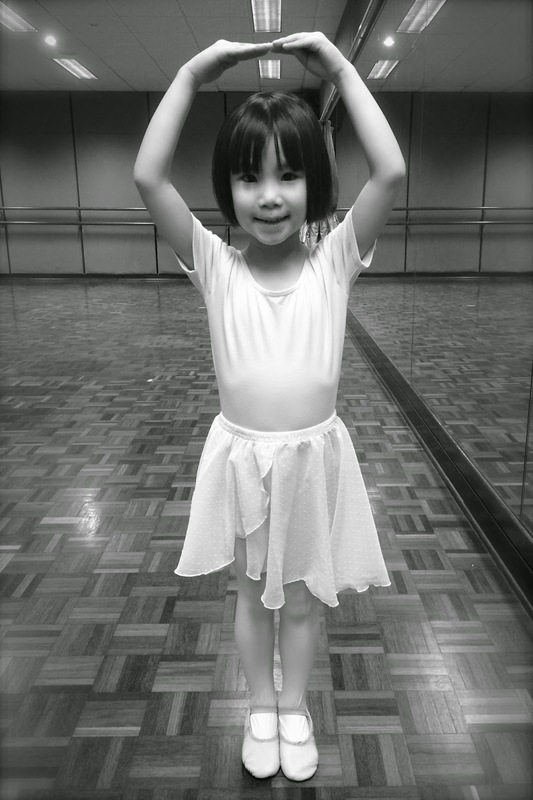 She even says that her favourite day of the week is the day she has ballet class! Whether or not Jayna eventually perseveres in this art form and does well in it is not important to me. I'm happy enough that my children get to try their hand at their choice of interest, something which I couldn't do no matter how much I wished for it as a child due to my own family's financial constrains.